Figure 21-22 Technique for testing abduction of the arm. 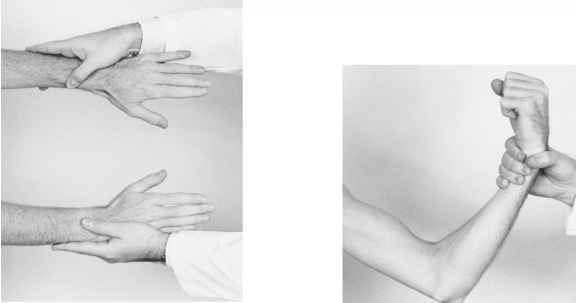 Figure 21-23 Technique for testing flexion of the forearm. Figure 21-24 Technique for testing extension of the forearm. against your resistance. This is a test of extension of the forearm by the radial nerve from roots C6 to C8. This test is demonstrated in Figure 21-24.